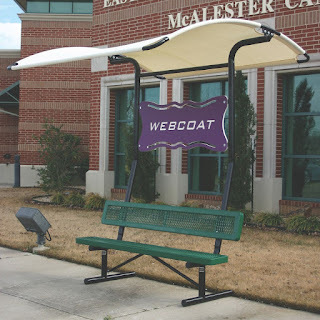 Shade structures play a very important as far as safety of your children is concerned. They protect the children by restricting the harmful ultra-violet rays outside the playground. Shade structures are available in a number of sizes, designs, and colors so as the meet the demands of various individuals. Purchasing shade structure online is a better option rather than going to the different shops. It will save your time, money, and effort. Nowadays, there are a number of online retailers that are providing shade structures at affordable prices. You just have to search extensively on the Internet of the shade structure that meets all your requirements. Nowadays, some of the shade structures that are in huge demand include picnic table arch fabric shade, umbrella square shade shelter, square shade shelter, SportsPlay shade structure, hexagon shade shelter, dual column rectangular umbrella shade shelter, etc. Quality: As the skin of the children is very sensitive and overexposure to Sun at an early age can lead to skin cancer and other dangerous diseases. So, always check whether the shade structure you are purchasing is made up of good quality material. Else, it can't be able to restrict the dangerous UV rays from entering into the playground. Price: Before purchasing a shade structure from any online retailer, always check the other retailers' websites too. It can help you making comparison between the price and quality of the same structure at different sites. Reputation of the Retailer: Checking the reputation or image of the online retailer in the market is very important when you are going to purchase a shade structure. Make sure that the online retailer that you have selected has a good repo in the market. You can do this by checking the past record of the particular retailer. This will ensure you that you are making a deal with a right person. To let your children play at the outdoor location even in the summers, make sure to purchase a quality shade structure for them. This will ensure you their safety from the harmful radiations emitted by the Sun.